Summary: The walk allows the participant to recover from the longest day by inviting them to the shortest. But this 13 miles is a wonderful short day. 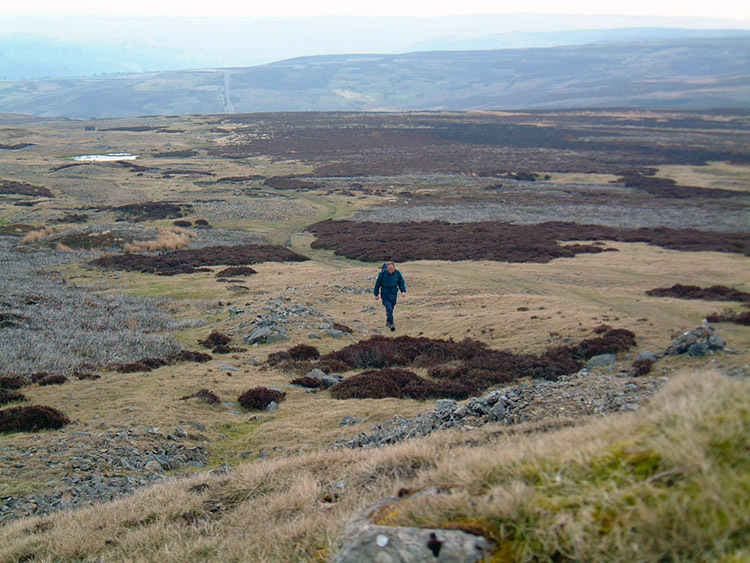 The walk leaves Reeth by heading south onto moorland before crossing over into Wensleydale. 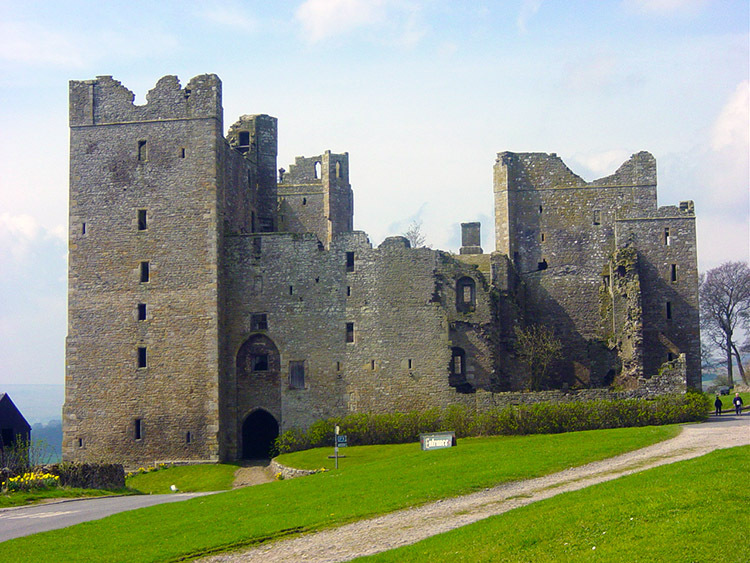 First port of call is the village of Castle Bolton including a visit to Bolton Castle. After this history lesson the walk moves on to even older and this time natural highs at Aysgarth Falls. 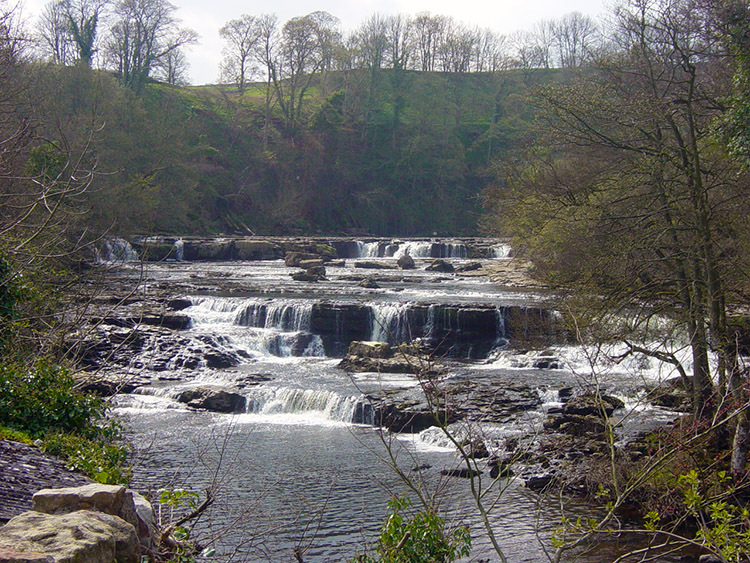 The walk follows the falls upstream from Lower Force then Middle Force and finally High Force before leaving the river at the village. Then it continues south and east over lowland to the village of Thoralby. The Walk: In Athletics they call it 'hitting the wall'. For some perverse reason cyclists refer to it as 'the bonk'. What it is called in the walking fraternity I don't know. I think we walkers should adopt a name for it. I suggest 'the shite' because that's what you feel like when you reach the stage of fatigue caused by lack of food and drink intake. I am talking about muscle glycogen depletion when the body reserves run out. Perhaps Steve's did yesterday causing his languid mood in the final stages of the walk into Reeth. It was my turn today. I'll tell you why it happened. Yesterday was the longest day of the walk and I accomplished it easily with only a couple of drinks, sandwich and chocolate bar. Today was the shortest at only 10.7 miles. 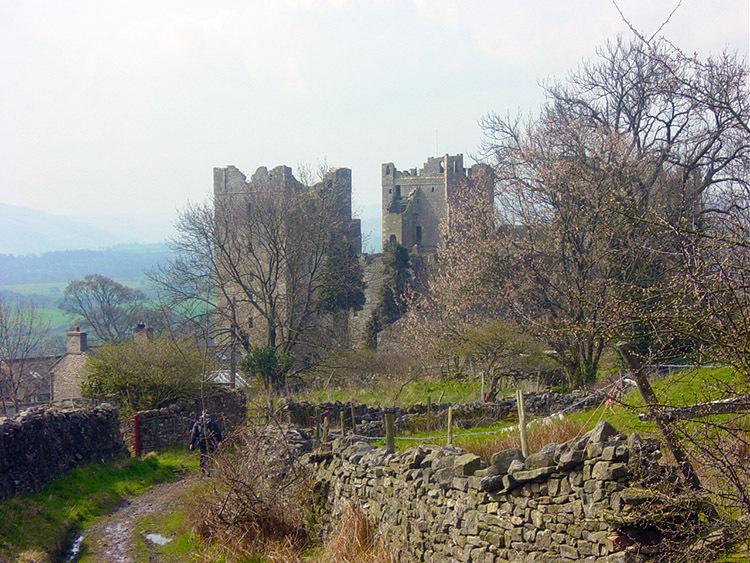 In between the start and finish points were the villages of Castle Bolton and Aysgarth. There would surely be shops there. 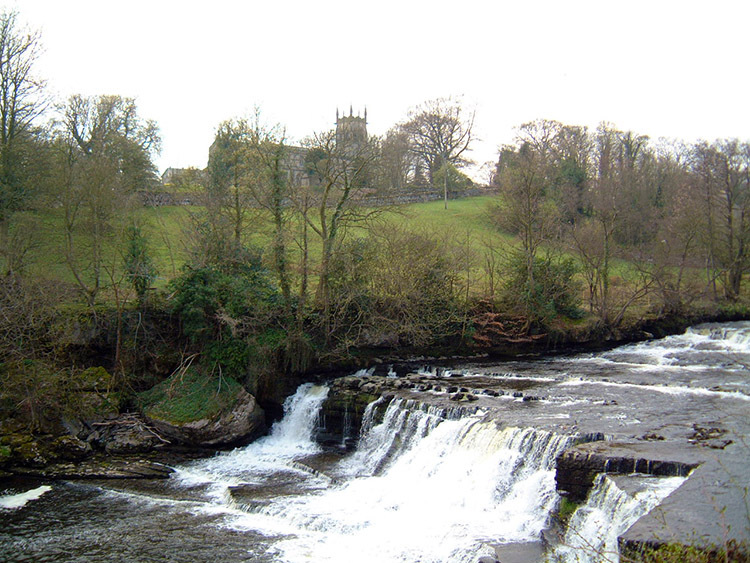 Add to that the shops and cafes at Aysgarth Falls. No reason to carry food, a drink is all I will need. And we did have a full breakfast before leaving Reeth. No need for food, let's get going. The walk today is a special one with two highlights which I have been looking forward to since the start of the walk. 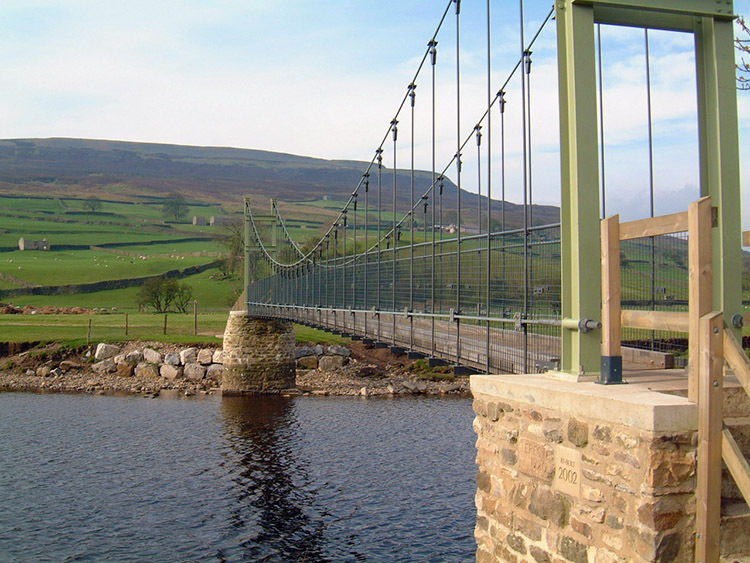 As we set off from Reeth by crossing the River Swale at the Swing Bridge I wondered if Steve had recovered from his bad day. 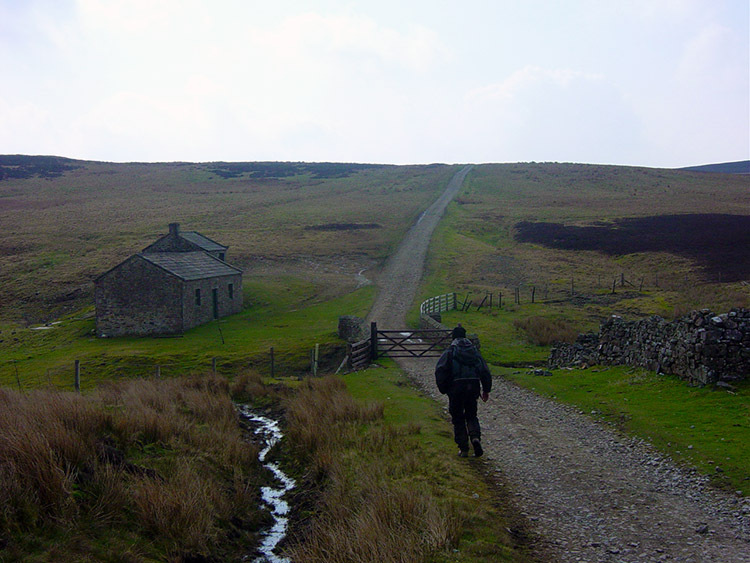 On crossing the bridge we had to navigate carefully through a warren of paths between Whitbecks and Bleak House. It was a steep pull up past Bleak House and onto Grinton Moor. Steve was climbing with aplomb. He was definitely recovered and clearly back on form. After passing Bleak House there were more tracks across Grinton Moor. I had to be firm at this point in convincing Steve not to take a particular path. The route he thought was the right one wouldn't get us lost but would have meant adding an unnecessary mile to the walk. The compass prevailed and we cut across the moor on my bearing to reach Hargill Lane near Ridley Hush. After following the metalled lane for a few hundred yards we reached the track that would lead us straight to our first highlight of the day at Castle Bolton. The track took us past the site of the disused Grinton How Lead Mines. We wouldn't have noticed if I hadn't seen them referred to on the map for all that remains is ugly piles of earth. We then continued our climb on the moor to our highest point of the day at over 500 metres on Height of Greets. There are more tips here, or spoil heaps as I would call them. As we approached a man with two dogs was sat at the top. He left before we arrived. Apart from a farmer in a van he was the only person we were to see on this quiet moor. Conditions on Grinton Moor were a little cloudy but as with Swaledale when we left Wensleydale was in sunshine. So we continued on from Height of Greets down to Dent's House and crossed Apedale Beck. Another short climb took us to Black Hill. After a short walk on a track around the top of the hill we started descending to Blackhill Park. The sun was now shining for us. 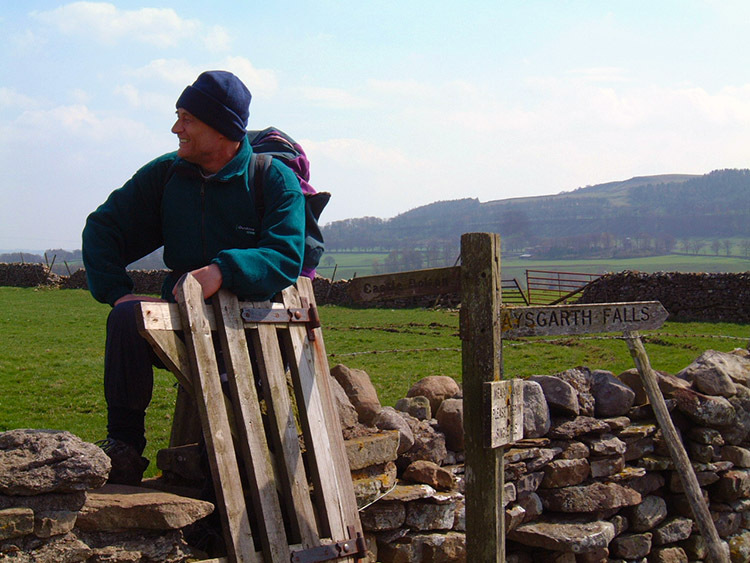 Wensleydale was now opening out in front of us for the second time on this spectacular walk. Two days ago we had approached it from the south when walking into Hawes. Now we were coming from the north and heading towards Castle Bolton about 10 miles further downstream the River Ure (note - Wensleydale is the only dale in the park that does not carry the name of the host river. It is named after the village of Wensley near Leyburn). Both times we entered Wensleydale we were greeted with sunshine. Thank you. As we walked down the hill we discussed the positioning of Bolton Castle and how we would plan an assault on the fortification. The castle is surrounded by open ground so a charge of horse and infantry was ruled out. Too many casualties. How about fireballs and boulders from catapults. OK, but a waste of effort. Why not simply starve the inhabitants out by siege. The countryside is lovely and we can occupy ourselves walking and pillaging the surrounding villages as we explore the area. Decision made, that is what we'll do while the silly sods in the castle starve. Contemplating our victory we arrived in the village and walked to the castle. It was built in 1379 during the reign of Richard II to surround the manor house of Sir Richard le Scrope. The most significant events in it's history are the imprisonment of Mary, Queen of Scots during the reign of Elizabeth the First and the garrisoning of royalist troops during the English Civil War in 1644. It was successfully defended by the royalists for a number of months before its capture in 1645 following a Parliamentary siege. Our plan worked Steve! After capture it was partly demolished to the state it is seen in today. What remains of the castle is a tremendous sight. It is a must visit part of the Dales Celebration Way and we paid it respect by resting by it for a while before setting off in beautiful sunshine to our second highlight of this great walking day. We left Castle Bolton by heading south down a road and then south west across fields to Wheeling Bridge. We were often drawn to look back to the castle. After Wheeling Bridge we continued a south west course over fields and along tracks before crossing over Kendell Beck and reaching the farm of High Thoresby. A dog barked at us as we walked through the grounds of the farm but fortunately it did not approach. We found a footpath sign pointing us through the farmyard and followed it into a field. The map shows the path crossing the field to the adjacent corner and we began walking through it in the company of a herd of cows. The cows were placid but soon after beginning the crossing Steve and I stopped. It was shielded by the cows when we began crossing the field but now we could see it. What could we see? The Bull of course! It was stood dead ahead in our tracks and although it did not seem interested in us there was no way we were going any closer. We immediately tracked over the field due south and then climbed a gate. 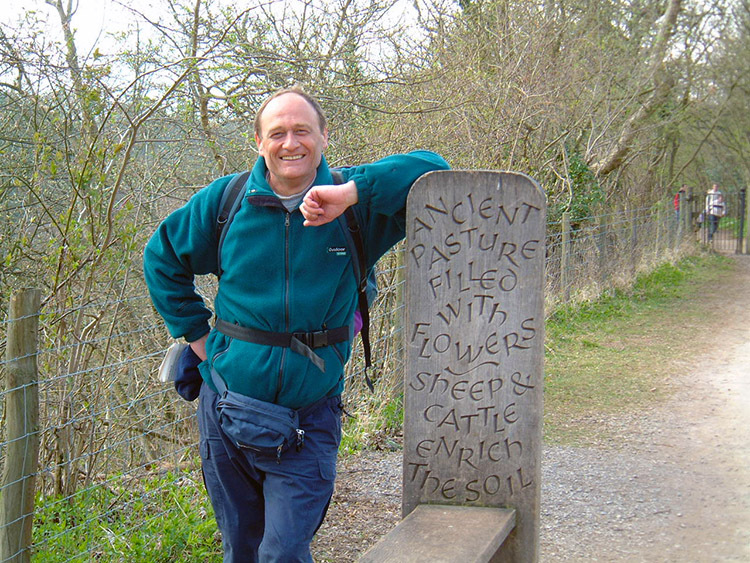 We then walked west along the edge of the adjoining field until we reached a stile into the bulls field thus rejoining the path we had been forced to leave. As we did so another couple of walkers met us coming from the opposite direction. We warned them not to cross over the stile into the field with the bull. They thanked us for the warning. I was a little peeved about the lack of any signs warning walkers about the bull in a field that is clearly marked as a permissive path. That is not on, especially on a walk that is much used such as this one. We walked off and I soon forgot about the bull. The next highlight of the walk and one of the most anticipated ones was now just ahead of us. 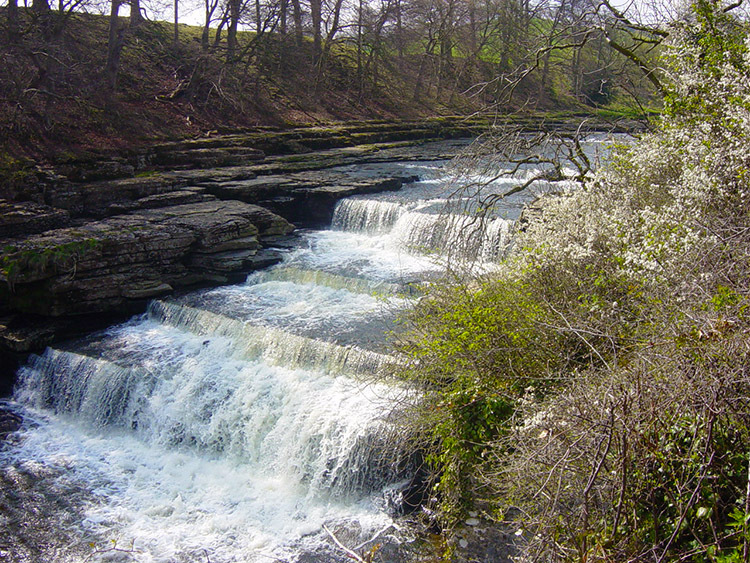 We were now approaching Aysgarth Falls (Aysgarth Falls are a series of small waterfalls on the River Ure that tumble over a series of broad limestone steps. There are three distinct sections of the series, High Force, Middle Force and Lower Force. The falls are one of the most visited places in the National Park and there were plenty of people about when we arrived which was a Thursday after Easter. One can only imagine how busy it is here on weekends) We reached Aysgarth Falls from the north east so the Lower Force was the first we arrived at. It was a long time since I had been here so it was good to be back. Steve was pleased to be here too and when we walked down to Lower Force we sat down and drunk in the beauty of it all. Lower Force is a series of small waterfalls set apart from each other. The series is about 60 yards long. We sat for quite a while in the midst of them. We then left Lower Force and made our way towards Middle Force by walking into Freeholders Wood. It was a spectacular walk through the wood for the floor of it had a white flowered blanket of Wood Anemone. We enjoyed it thoroughly before detouring to Middle Force dominated by a single drop waterfall. After viewing it we then resumed our walk through the wood before leaving it and following a roadside footpath to Yore Bridge. We looked over the bridge at the spectacular High Force. This is the most vibrant section of the falls with a series of closely knit waterfalls. We took in our last look at the falls. Then I turned to look to the end of the bridge and a cafe. I was getting a little peckish now and needed a bite to eat. I was put off the cafe by the probable queues of tourists. Aysgarth village was only a half mile away. I would get something there. As we left Aysgarth I was half soaking in the brilliance of today and half contemplating food. We walked through small paddock fields to the village. There were about eight of them, all with narrow gaps in the walls to pass through. I got more irritated with each one, food was predominantly on my mind now. I said to Steve "I am hungry now, I have to get a bite to eat in Aysgarth" Steve said he was fine and could wait to the finish. We reached Aysgarth and I looked left and right for a shop as we walked through the village. There was not one and we were more than halfway through. In fact is was deathly quiet. Then I spotted a cafe. I told Steve I'd get something there. I rushed to it and looked in the window. There was a menu. Steve sat on a seat across the road and relaxed as I looked the menu over. I could not believe what I was seeing. £4 for a sandwich! I'll starve before I pay that. I thought there must be a shop at the end of the village and moved off hastily. Steve was irked, he had just sat down and was contemplating a nice rest and I was off in a huff. He quickly reorganised and followed. There was no shop at the end of this damned village. "Let's get to Thoralby, there must be a shop there" I said disgruntled. We walked off from Aysgarth to Tomgill Bridge with Steve having to put up with my constant carping. I had hit 'the shite'. From the bridge we walked the final mile down a metalled road into Thoralby. I still carped on. As we entered the village I spotted a Post Office. Guess what, it was shut. I moaned even more. The village pub, my last chance saloon was next. It was open. They had stopped serving food. I bought crisps, nuts and chocolate and the two of us a pint. I scoffed them down as Steve ordered food for the evening. My snack food was sublime and I soon began to feel better. Steve had his bad day yesterday. I had a small reversal today. We were going to be fine now. The walking today had been extra special and to cap it all the evening meal was excellent. So much so that Steve admitted that it was one of the best pub meals he ever had. I agreed it was delicious. Any food I had today was guaranteed to be delicious!